Just a few years ago, the answer would have been obvious. 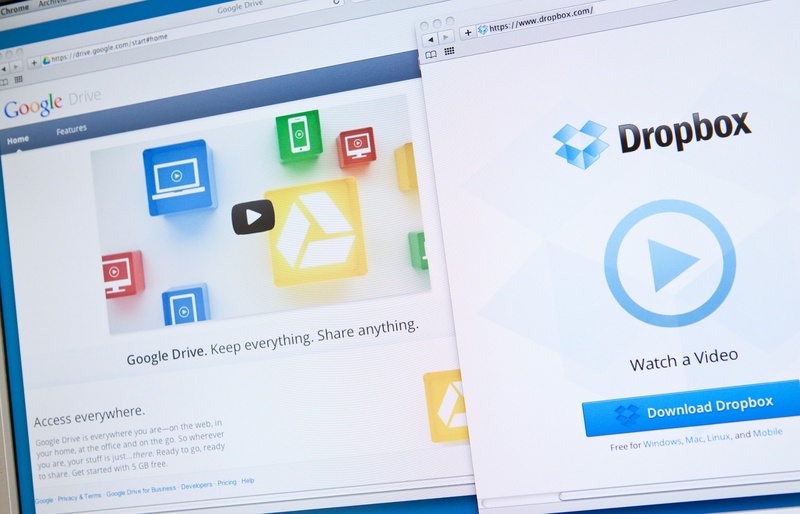 Dropbox and digital asset management systems were miles apart in functionality, with Dropbox being seen as a file management solution and DAM only being used by media and publishing companies. But this is no longer the case. Today, both Dropbox and DAM systems are used to manage all types of files and media, making them increasingly more difficult to tell apart. So, how do you figure out which one is right for you? It comes down to these 6 questions to ask yourself about your asset management needs, and how quickly your company is expanding its content creation. 1.How Many Assets Do You Have? If you’re really only looking for a system to share a couple of assets here or there with a small internal team, a file sharing system like Dropbox is probably the right choice for you. At this level, you can get by with the simple search functions and smaller storage packages that file sharing systems offer. But, if you find you’re creating more and more content, or your team starts complaining about the time it takes to find the assets they need, it’s time to find a more scalable solution, like digital asset management. When you start talking in the hundreds or thousands of brand assets, and scrolling through hundreds of files is no longer a viable option, it’s time to start planning for a DAM. Hands down, a DAM system will offer you better searching, key-wording and categorizing capabilities, ensuring you’ll always be able to find the asset you need within a matter of seconds, without having to sift through pages of assets. In addition to a base fee for storage, Dropbox charges for each user you add to the system. If you’re only expecting a small amount of people to access your files, a file sharing system initially seems like the more budget-friendly way to go. But as you start adding more users, Dropbox quickly becomes more and more expensive. If you’re looking for a department or organization-wide system, a DAM can often be the less-expensive option. A few digital asset management systems (like MediaValet) offer unlimited users with their subscription. The idea is to maximize the use of your marketing and digital assets across a larger number of users. The more internal and external users you have accessing your system, the greater value you’ll see from it (whether it’s Dropbox or DAM). If you want to provide assets to other departments, partners, channel and stakeholders, digital asset management is usually the best way to make the most of your investment. What types of files do you have? If you tend to work with documents and small-sized media – we’re talking MB – then you could probably get away with using a system like Dropbox. It’s great for teams that only need to store some core brand assets for smaller projects, since it can manage nearly any basic file. But as soon as you start including InDesign and Illustrator files, or other large-sized content, you’ll start to see the limitations of file management systems. DAM platforms offer the ability to manage more advanced files, such as InDesign files (without zipping), Microsoft Office documents and even 3D files. With a DAM, you’re given the ability to upload, preview, download, render and share files that are up to 250GB. If your content goes beyond simple JPGs, you likely need to look into digital asset management to truly scale your efforts. Is your design team spending too much time on admin requests? While Dropbox doesn’t offer the ability to quickly change file types and sizes, if you have a creative team that has the time and resources to manage any requests that come through, it could be the right choice for you. One of the most frequent complaints we hear during discovery calls is that the company’s graphic design team is spending too much time handling resizing and file-type change requests. If you find your creative team is spending too much time on file management for other departments, it’s probably time to start looking at a DAM. One of the main features that attracts a company to a DAM system is the ability to quickly convert a file into any size or rendition they want (such as JPG, PNG, PDF, etc.) With this feature, they notice that their graphics department doesn’t spend as much time on admin requests, and can instead focus on creative tasks and strategic planning. If you have a limited creative team, or want to save time spent rendering files, a DAM is likely a better solution than Dropbox. What search capabilities do you need? If you have very consistent naming conventions across all of your assets, there’s a chance you could do just fine with Dropbox. The system’s search capabilities are limited to only title and file type, but with a small amount of assets and the right processes in place it’s possible to work around this limitation, although a lot of companies choose to avoid this route and upgrade to a DAM instead. With a DAM, you have nearly endless searching options to find the assets you’re looking for. You can search by category, title, keyword, you name it! And after your initial search you can filter by star-rating, asset type and approval status. While this amount of search functionality can be too much for some companies, most enjoy having the robust search capabilities of a DAM. For Dropbox, folder permissions fall into two different buckets – those who can only view the assets within a folder, and those who can upload, edit and delete the assets. If you only need this type of permission structure, Dropbox could be a perfect fit for you. However, if you need more advanced permissions, it could be time to start looking at a DAM. One of the primary reasons a company chooses a DAM is because of the internal security that it’s able to provide when it comes to advanced permissions. In addition to deciding what folders each user can see, a DAM has 5-10 core permission roles that dictate who can download assets, who can see versions, who can approve new users and more. On top of these core roles, DAM administrators can also create their own custom permission roles to suit the company’s needs. Bonus: Do you need watermarking? While watermarking isn’t usually a deal-breaker for DAM or Dropbox, it is something to consider. One of the limitations of Dropbox is that it’s strictly just for storing files, and doesn’t have any additional functionality, such as the ability to watermark. If you could benefit from protecting your assets with an instant watermark, a DAM could be the solution for you. Now comes the tricky part - analyzing your responses and deciding on a solution. The easiest way would be to just select the solution that checked the most “boxes” and go with that. But, if you want a long-term solution, you also need to prioritize what’s a need-to-have and what’s a deal-breaker.